One of my favorite comedy routines is now a picture book! We recently acquired this adorably illustrated version of the classic Abbot and Costello sketch, and it’s already flying off the shelves. 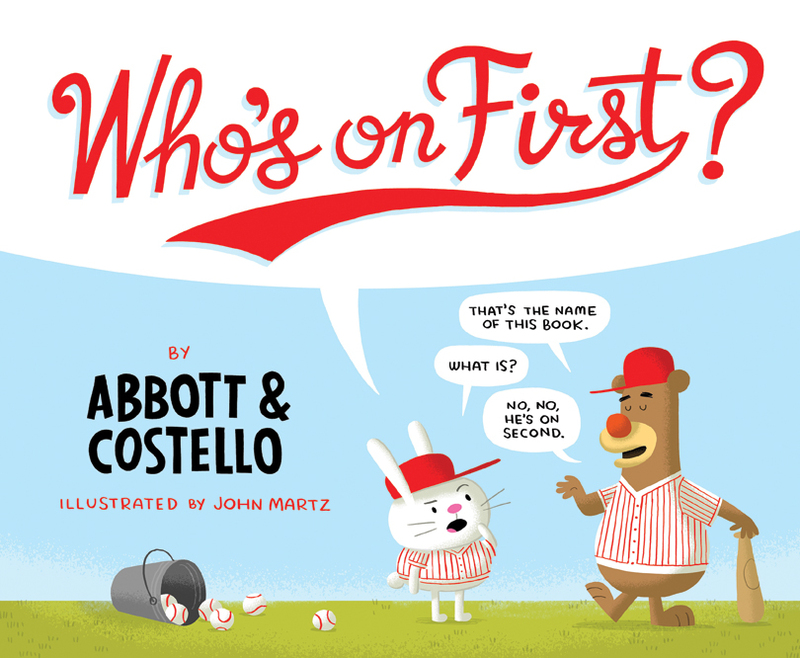 If you’re looking for a fun way to introduce your kids to the comedy classic or if you yourself don’t know Who’s on first and What’s on second, check this book out! If you want to hear the original sketch performed by the great comedians themselves, the full sketch is in the Abbott and Costello film The Naughty Nineties (1945). You can also find it (as I write this) on YouTube.